With the upcoming Brexit and the uncertainties that come with it for businesses operating in or with the United Kingdom, businesses start to rethink their current structure and business model. Although many questions remain unanswered with respect to the after-Brexit state in which both the UK and the EU will continue cooperating, an anticipated short transitional period will most likely result in undesirable effects. For some businesses the current uncertainties are reason enough to break its ties with the British as the island merely operates as a stepping stone into the vast European market. Holding companies with limited activities are easily transferred to the European main land. For other businesses however the costs of moving across the North Sea are significant and therefore require a clearer picture at the very least before considering such action. Another group of businesses simply has no choice to transfer their business to Europe and tries to prepare for the Brexit as well as possible. It is likely that a Brexit will also mean that the UK will leave the European internal market and with it the customs union. Exports and import between UK and EU may therefore not only be faced with tariffs but will also have to undergo custom procedures, resulting in additional costs and shipping time. European directives converged many national tax laws of EU member states with respect to specific subjects. The taxation of dividends, royalties and interest is much influenced by these EU agreements. Dividend payments from a subsidiary to its parent company are in general exempt from dividend withholding tax at the source and exempt from income taxes at the receiving parent company as long as it concerns an intra-EU transaction. Although it is not expected the UK will abolish the exemption of the income at the level of the parent company (i.e. participation exemption), the dividend withholding tax exemption at the level of the European subsidiary will be most uncertain. The latter will likely change into various reduced tax rates agreed upon per country in bilateral tax treaties. Interest and royalty payments are in general exempt from withholding taxes if it concerns an intra-EU transaction. This may have the same fate as dividend withholding tax. It is not anticipated that major differences in value-added tax arise after a Brexit. 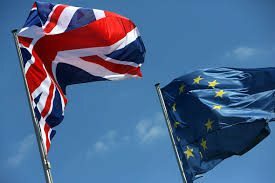 However, leaving the European market will mean that import VAT will be levied on goods shipped between UK and EU. Although this tax will likely be recoverable it will result in cash flow costs. One of the fundamentals of the European single market is the free movement of persons. This enables workers to move between EU member states without the annoyances of time-consuming administrative burdens. A Brexit will constrain the flow of workers between EU and UK. With respect to social security, currently EU regulations apply to make sure that persons are covered and prevents persons paying double premiums. Cessation of this regulation could lead to increased social security costs, lack of coverage or fragmentation of benefits. Renegotiations are likely concerning this subject. For now, we believe the most sensible action to be taken is to get a clear understanding of what a Brexit may mean for your company. That is, getting an answer to the question: how much is your company and its current group structure exposed to the above stated taxes regarding EU and UK transactions. Then, if necessary, prepare a plan on how to reduce this exposure.